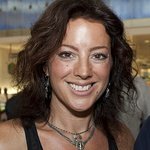 Sarah McLachlan, one of Canada’s most celebrated female singer/songwriters, performed for Vancouver schoolchildren last week in support of the Canadian Academy of Recording Arts and Sciences’ music education charity, MusiCan. MusiCan, an organization that “keeps music alive” by giving grants, awards and scholarships, donated $10,000 each to seven schools in the Vancouver area, including the school where McLachlan performed. The money will be used to buy instruments for their music programs. 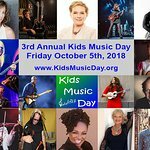 As well as playing three of her own songs, a jazz band from one of the schools and elementary students from another were able to play on stage with McLachlan. Lamenting that arts programs are often the first to be cut from underfunded school curricula, McLachlan is dedicated to advancing music education for youth in under-served communities. “I don’t know what I would have done without music in my life when I was growing up,” she said.